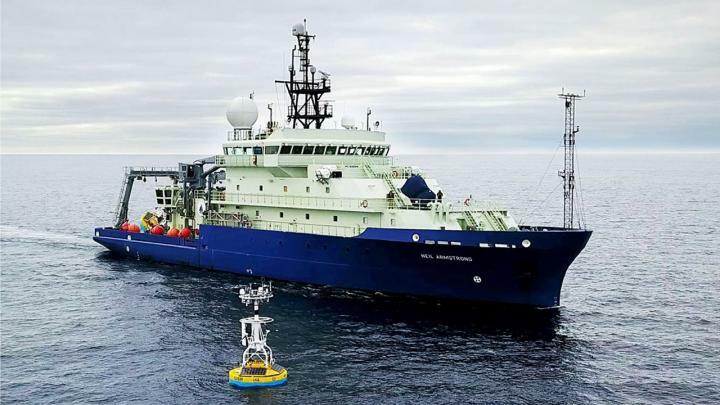 The National Science Foundation (NSF) announced that it has awarded a coalition of academic and oceanographic research organizations a five-year, $220 million contract to operate and maintain the Ocean Observatories Initiative (OOI). The coalition, led by the Woods Hole Oceanographic Institution (WHOI), with direction from the NSF and guidance from the OOI Facilities Board, will include the University of Washington (UW), Oregon State University (OSU), and Rutgers, The State University of New Jersey. The OOI officially launched in 2009, when NSF and the Consortium for Ocean Leadership (COL) signed a cooperative agreement to support the construction and initial operation of OOI's cabled, coastal, and global arrays. The launch represented the culmination of work begun decades earlier, when ocean scientists in the 1980s envisioned a collection of outposts in the ocean that would gather data around the clock, in real- and near-real time for years on-end and enhance the scientific community's ability to observe complex oceanographic processes that occur and evolve over time scales ranging from seconds to decades and spatial scales ranging from inches to miles. The OOI currently supports more than 500 autonomous instruments on the seafloor and on moored and free-swimming platforms that are serviced during regular, ship-based expeditions to the array sites. Data from each instrument is transmitted to shore, where it is freely available to users worldwide, including members of the scientific community, policy experts, decision-makers, educators, and the general public.